Ready for a feel-good story featuring a Swedish Ebenezer Scrooge? If so – join us! 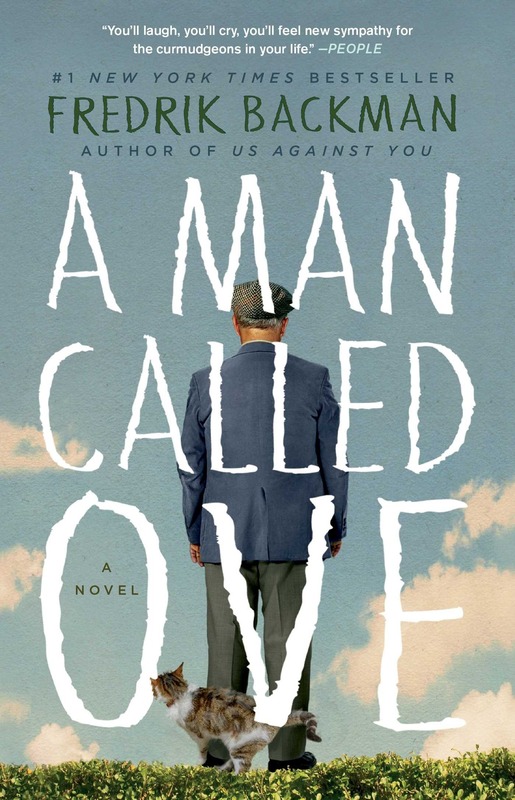 Who Should Read “A Man Called Ove”? And Why? “A Man Called Ove” is both a light and a rewarding read – meaning you’ll read it in a single breath and you’ll feel a lot better after finishing it. Also, you may cry at least two times while reading it. You know – because of that warm and tingly feeling your belly craves for from time to time. Well, this novel is your chance to experience it once again. is a Swedish blogger and columnist turned bestselling novelist. 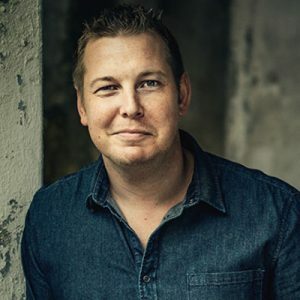 He debuted with “A Man Called Ove” in 2012, and has published a book every year since then: “My Grandmother Asked Me to Tell You She’s Sorry” in 2013, “Britt-Marie Was Here” in 2014, “Beartown” in 2015, “And Every Morning the Way Home Gets Longer and Longer” in 2016, “The Deal of a Lifetime” in 2017 and “Us Against You” this year. Number one bestsellers in his home country, most of Backman’s books have been translated into English and at least twenty-five other languages. Ove is fifty-nine. He drives a Saab. He’s the kind of man who points at people he doesn’t like the look of, as if they were burglars and his forefinger a policeman’s torch. 1. Ove is a fifty-nine-year-old Swedish man; considering the fact that he has worked incessantly ever since he had been sixteen, fifty-nine means that he is also of retiring age. 2. He drives a Saab – which is basically as Swedish as a Swedish man can get. 3. He is your quintessential next-door curmudgeon. If you don’t know what that word means, think Ebenezer “Buh, humbug” Scrooge. Or, if you’d prefer a movie reference, something along the lines of W. C. Fields. Speaking of Christmas and movies – please, be our guest and cast a look on the trailer for the movie adaptation of this novel, which came out few days before the start of 2016, i.e., on Christmas Day 2015. Just like the movie – oh, come on, if you didn’t like spoilers, you wouldn’t be here in the first place! – the novel begins in medias res (with Ove attempting to buy an iPad) and moves back and forth in time so as to fill the gaps of Ove’s story. Per our usual habit, we’ll summarize it in chronological order. Which, really – just a word of friendly warning – takes away a lot of its charm and beauty. The story of Ove’s past explains a lot about his cantankerous and grouchy present demeanor. When he is a very young boy, his mother dies, leaving him alone with his father. That’s, in fact, the reason why Ove has started working at such a young age. Not willing to leave him alone at home, his father (passionate about engines and nothing else) takes him at the railway to work with him. One day, as he is cleaning out a railway car with a mean guy going by the name of Tom, Ove happens upon a wallet filled with money. He hands it over instead of keeping it, and, as a reward, the railway director gives Ove’s father a car. Ove has fond memories of this time of his life. He spends some of it going to school and studying stuff, and a lot of it repairing the Saab with his father, from whom he learns everything there is to know about discipline, tools, and, yes, fixing cars. However, when Ove is merely sixteen years old, cruel destiny takes away his father away from him as well: he dies instantly after being hit by a train. Afterward, having no other option but it, Ove quits school and takes his father’s job at the railway. After some time, he starts receiving letters informing him that the city wants to buy his house in order to bulldoze it and build a more appropriate one. So as to stop that from happening, Ove decides to get a temporary job at a construction site. That way, he believes, he’ll be able to learn the craft and renovate the house himself. In the meantime, however, he is demoted at his regular job, after being falsely accused by Tom of stealing money. So, while he is renovating his house, he tries to make ends meet by working as a night cleaner on a long-distance train. But, eventually, he does quite a good job with the house; unfortunately, his sense of triumph is marred by the ultimate disaster as the house catches fire and burns down to the ground barely few weeks after Ove has finished renovating it. Not having enough money for something bigger, Ove moves to town and rents a room. At work, Tom steals his father’s watch, and Ove finally confronts him. Blame us for being partial, but we’ll describe this as quite a satisfying confrontation – a description we believe most of you will agree with. That is, unless you’re Tom or a masochist and you like being punched in the face. Probably encouraged by his suddenly discovered strength – who knows? – Ove tires to sign up for the army. However, even this doesn’t go his way: he is denied an entrance on account of a congenital heart defect discovered during the medicals. Because it happens to everybody. During the next three months, Ove rides the train with Sonja every single day. And then – she invites him out to dinner. (Remember: this is not America, but Sweden – they were ahead of us even in the 1960s). Soon Ove realizes that Sonja is everything he has (n)ever dreamt about – and more! Recognizing his talent, she encourages him to start an engineering course, so that he can a better job, building houses. Starting with their own, of course. Unfortunately, you already know that Ove is a curmudgeon and that Sonja is not around him already in the first chapter. Well, three years after the start of their relationship, both Sonja’s father and her childhood cat die in a week. Sonja is distraught, but things turn for the better when she learns that she is pregnant. Getting a house now is essential. So Ove and Sonja buy a row house on the same day that another couple – Anita and Rune – does. Anita is pregnant as well, so, unsurprisingly, she and Sonja have a lot to talk about ever since that first day. So, they become best friends. By way of proxy, the same happens with Ove and Rune: they not only share tools between them, but also a sincere love for Saabs, discipline, and everything Swedish. Things go well for some time, but then, as Ove and Sonja come back from a bus tour to Spain, their bus crashes. The result: the death of Ove and Sonja’s unborn baby, and her paralysis from the waist down. Despite the accident, Sonja remains as loving and caring as she had always been, taking a job to teach troubled students Shakespeare. Ove, however, changes profoundly: he starts hating life and everybody around him. That, unfortunately, includes his only friend, Rune, with whom (especially after the birth of his child) he has a row about every single thing, no matter how trivial and unimportant. Their quarrel culminates a few decades later when Rune sells his Saab and buys a BMW. The audacity! Soon after – that is, four years before the events happening in the present – two tragedies strike the neighborhood: Rune is diagnosed with Alzheimer and Sonja with cancer. Three and a half years later, Sonja, Ove’s one and only friend, dies. In the present, after being forced to retire, Ove decides to end it all and kill himself. But not before making his usual morning inspection of the neighborhood (a remnant of his days as president), which always ends up with him tearing up flyers, locking up misplaced bikes, and cursing the “thirty-one-year-olds” who have supposedly wreaked havoc on a once nice and respectable community. As Ove is preparing for his suicide attempt #1 – installing a hook in his ceiling – his new neighbors, Patrick and Parvaneh (or, in Ove’s dictionary, “The Lanky One” and “The Foreign Pregnant Woman”) – run their moving trailer over his flowerbed while doing a U-Haul. Suicide can suddenly wait: Ove goes out and starts yelling at them and eventually steers the trailer in their stead. As a token of gratitude, later that day, the couple’s two daughters (the three-year-old Nasanin and “the Seven-Year-Old” whose name we don’t find out) bring Ove dinner. The suicide plan is moved for the next day, which – of course! – starts with another inspection of the neighborhood. During this one, Ove confronts Adrian and Mirsad – aka “The Young Man” and “The Youth” – two friends, who are trying to fix the improperly parked bicycle of a girl living on Ove’s street. Soon after, Ove is visited by Patrick and Parvaneh who bring him cookies and ask to borrow a ladder and a wrench. Anita shows up while Ove is irately fetching the items for his new neighbors and informs Ove that, due to Rune’s condition, the council (represented by the Škoda-driving “Man in the White Shirt”) wants to take him away from her, despite her wishes. And this would have been the end of the novel if Ove’s rope had been a bit tighter. But it breaks, and he fails to hang himself. Morning #3 means suicide attempt #3 – this time using the painless carbon-monoxide-car-exhaust method. However, while Ove is in his garage waiting for the fumes to do their job, he hears an ambulance and then someone starts knocking incessantly on his garage door. It is Parvaneh, and she is impatient for a very good reason: Patrick has fallen down from the ladder and, since she doesn’t know how to drive, she asks Ove to take her and her daughters to the hospital. At the hospital, Ove is none other than Ove: he quarrels with a parking attendant and punches a clown in the nose. Nasanin – remember: she’s merely three years old – thinks that this is the funniest thing she has ever seen. The seven-year-old and Parvaneh aren’t that fascinated. Morning #4 comes and brings with it Ove’s suicide attempt #4. This time, he opts for a quick and surefire solution: jumping in front of a moving train. However, just as he is about to do that, a businessman faints and falls inadvertently onto the track. After some hesitation over what to do next, Ove is touched by the look of the young train conductor (who can do nothing about stopping the train), and, so, decides to help the man. Interestingly enough, this isn’t the only nice thing Ove does for the day: incited by Parvaneh he also helps a cat, which is brought back to life by Jimmy, Ove’s young and overweight programmer-neighbor who adores cats, despite being allergic to them. In other words, time for good deed #3 for the day: Ove takes Jimmy to the hospital. They say that good deeds don’t go unnoticed, and soon enough, Ove is tracked down by a journalist named Lena who wants to interview him about the man whose life he managed to save at the train station. By now, you are certainly acquainted well enough with Ove to know that Lena doesn’t get the interview; however, she does get Parvaneh’s phone number. And, on the way to the hospital, Parvaneh gets Ove to agree that he will teach her how to drive better. But, Ove has another thing planned: suicide attempt #5. 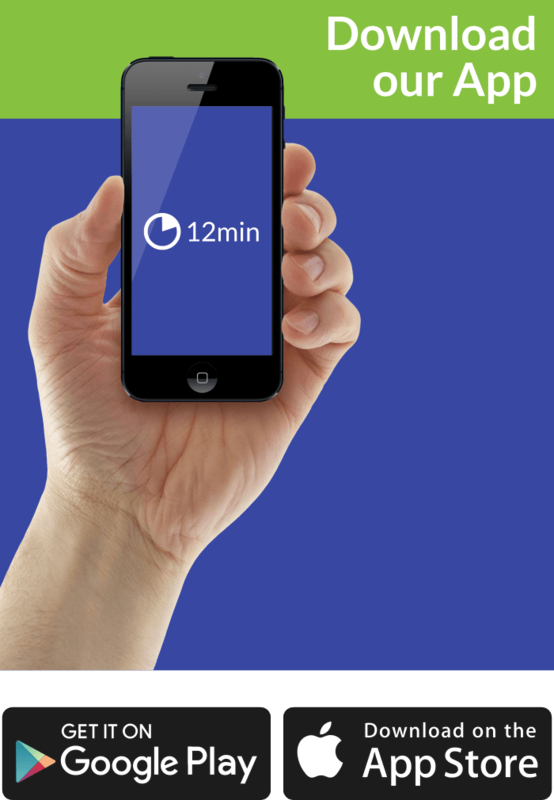 This time – using Sonja’s painkillers. However, he is interrupted by a screaming cat and, later on, a visit from Adrian who brings Ove his mail. Adrian tells Ove that Sonja had been his teacher and, moved, Ove offers to help Adrian fix his bike. He brings the bike to the café where Adrian works and happens upon Mirsad, who we learn to have been Adrian’s boss, that is the son of Amel, the owner of the cafe. Ove quickly deduces from the makeup on Mirsad’s face that the boy is gay and offends him; Adrian begs Ove not to tell Amel Mirsad’s secret. The next day, however, when it’s time for suicide attempt #6, Ove is interrupted – this time, while trying to shoot himself with a rifle – by none other than Adrian and Mirsad. Adrian tells Ove that Mirsad had come out before his father who, afterward, kicked him out of the house, and asks him if it would be possible for Mirsad to stay over for the night. Ove agrees, and it is with Mirsad that he goes on his regular morning inspection the next day. During it, Jimmy joins and tells Ove that Rune is to be taken during that week. Now, unknown to both Ove and Sonja, Anita had been petitioning to keep Rune by her side for the previous two years. Moreover, now that the decision has been made, nothing but the unity of the neighborhood can help her. Ove – now heartbroken by some memories of his past times with Rune – joins his neighbors as they spend the next few days planning what to do. And they come up with an excellent plan: Lena digs up some documents showing improper conduct, and when the man in the white shirt shows up, he has no option but to back off. And many more good things happen – almost all starring Ove in the leading role! First, as a return of favor, Ove agrees to have an interview with Lena. Then, he goes to speak with Amel and encourages him to take Mirsad back. Afterward, the seven-year-old invites Ove to her birthday party, telling him that she wants an iPad as a gift. Ove asks Jimmy for some help and this where the novel actually starts: the man called Ove goes out to buy an iPad. After the birthday party, Ove has a heart attack and Parvaneh – with her new-learned driving skills – takes him to the hospital. The doctor tells her that, well, Ove’s heart was just too big. Parvaneh takes care of Ove while he’s recuperating; and, soon after, she gives birth to a baby boy. In the meantime, Mirsad and Jimmy fall in love with each other; soon, they marry and adopt a daughter. Ove dies four years after Parvaneh and Patrick accidentally interrupt during his first suicide attempt. Over 300 people come to his funeral. In his testament, he leaves most of his money to Parvaneh’s children and Jimmy and Mirsad’s adopted daughter. With the rest, Patrick and Parvaneh start a charity. As the book closes, Parvaneh shows Ove’s house to a young couple in search of a place to live. The wife is pregnant. And the husband – well, he drives a Saab.